Lois E. Yost, 89, of Park View, Iowa, passed away Friday, July 13, 2018 at the Clarissa C. Cook Hospice House in Bettendorf. A memorial service to celebrate her life will be held at 10:00 a.m.,Monday, July 23, 2018 at Chambers Funeral Home in Eldridge.. Inurnment will follow at Rock Island National Cemetery. Lois was born September 17, 1928 in Vayland, South Dakota, the daughter of Frank & Gladys (Kane) Hackett. She married the love of her life, Keith E. Yost, on June 1, 1955 in Miller, South Dakota. He preceded her in death on December 5, 2005, after fifty years of marriage. She was a Registered Nurse from 1949 until her retirement from nursing in 1966. She served as den mother for her sons' Cub Scout troop, while sewing and knitting a wardrobe of clothes for her daughter's Barbie dolls, among other motherly pursuits. A fifty-year resident of Park View, Lois was recently honored as one of the few living original residents at last year's July 4th 'Park View Days' 50th Anniversary. In her years there, she volunteered her time and support to the local baseball league in Park View. She also bowled for many years, playing on several leagues and winning multiple trophies. She enjoyed Bridge, working with ceramics, playing the slot machines at casinos (from which she invariably came away ahead), competitive 'Chickenfoot' with her grandchildren, and Sudoku. Lois loved to travel and following their retirement, she and Keith set out across the United States, visiting popular points of interest. They also indulged in another of their interests during their travels: genealogy; combing local courthouses and cemeteries nationwide for information about the Hackett and Yost families. In between, they managed a cruise to Europe, an RV caravan to Alaska and a cruise to Hawaii, all while keeping up with friends and family during these years. Fulfilling a promise she made to Keith in 1957, Lois published a book about her life titled "Lucky Traveler" in 2013. Those left to honor her memory include her daughter, Ann Riggs (Johnny Longoria) of Victoria, Texas; her sons, Patrick (Karen) Yost of Long Grove, Iowa and Lyle Yost (Tina Yoon) of Creve Coeur, Missouri; thirteen grandchildren and five great-grandchildren. In addition to her husband, Keith, Lois was preceded in death by her parents, and her sister, Darlene Mogen. 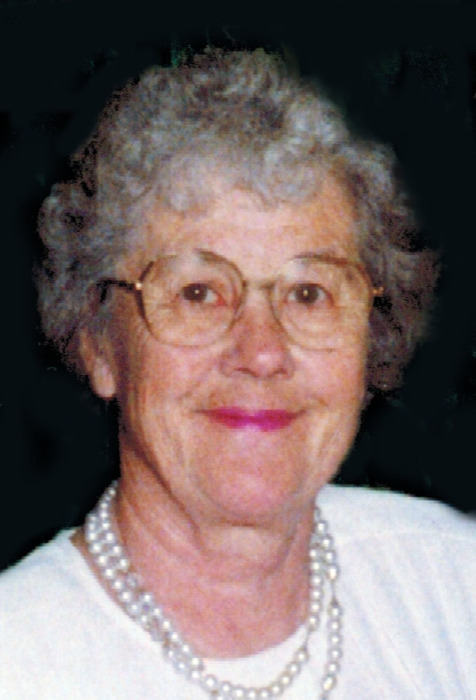 Online condolences may be expressed to the family by visiting Lois’ obituary at www.McGinnis-Chambers.com.